Your Lewisville Dentist Mounts an Attack Against Bacteria! Spring is here and as part of your efforts to promote cleanliness in all aspects of your life, you’re looking to schedule an appointment with your Lewisville dentist for a routine cleaning and examination. But what happens if while there your local professional tells you that you need a deep cleaning? Isn’t that what you came for anyway? There’s actually a difference between the cleaning that you receive at a standard preventive care visit and what is called scaling and root planing. You’ll learn about this as you continue reading. Comments Off on Your Lewisville Dentist Mounts an Attack Against Bacteria! 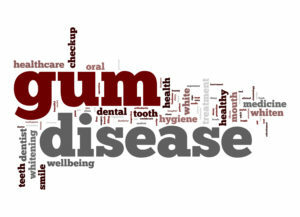 Here are the Keys to Fighting Periodontal Disease in Lewisville! It’s a warm spring afternoon, and you’re planning on heading minutes up the road to downtown Denton to enjoy a cup of coffee and visit your favorite bookstore. You look into the mirror and notice that your gums are bleeding while you brush your teeth, and this leaves you with a strange feeling that something isn’t right, so you want answers. Your local dentist says you may have periodontal disease in Lewisville and warns you not to ignore these symptoms. Learn more about this condition as you continue reading. Comments Off on Here are the Keys to Fighting Periodontal Disease in Lewisville! What’s the Difference Between Invisalign in Lewisville and Braces? As an adult, one of the more difficult things you’ve been wrestling with is the idea of correcting your misaligned teeth. 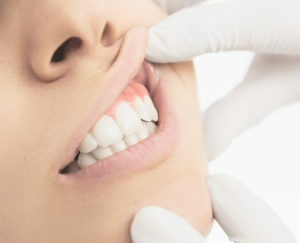 In your mind, the thought of fixing your smile stirs images of bulky brackets and connecting wires that are easily noticed in your mouth. Still, though, you can’t deny the fact that you want a perfect smile. This causes a great conflict, leaving you wondering, “Is there no other way to get the smile I want?” Thankfully, there is with Invisalign in Lewisville. As you continue reading, your local dentist will explain more about the process and how it can deliver the appearance you’ve dreamed of. 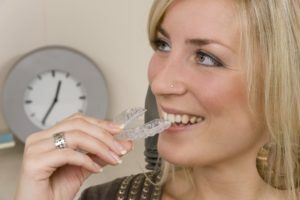 Comments Off on What’s the Difference Between Invisalign in Lewisville and Braces? From the bottom of our hearts—all of us here at Capehart Dental want your visit to our office to be memorable for all of the right reasons: quality dental care from a compassionate staff at a price you can afford. With this in mind, Dr. Capehart is pleased to be an Aetna Dental dentist. This means that he is an in-network provider, so he is able to offer you and your family a variety of preventive and restorative services at affordable rates. Learn How to Reduce Your Dry Mouth with Your Dentist in Lewisville! It happens to all of us. Whether we just got finished exercising or ate some crackers, dry mouth appears in many different ways. However, it shouldn’t be treated so lightly, as dry mouth can pose a risk to your oral health. According to your dentist in Lewisville, dry mouth is a precursor to several issues you could have. Keep reading to learn the important functions saliva provides as well as how to get it flowing again. Your oral health is at stake, so don’t let your mouth remain this way. Comments Off on Learn How to Reduce Your Dry Mouth with Your Dentist in Lewisville! Get the 411 on Root Canal Therapy in Lewisville Here! These two words will bring even the strongest person to their knees: root canal. There are a lot of negative connotations associated with this dental procedure. The reality is that root canals are provided as a service to help patients relieve dental pain, not cause it. If your dentist just recommended that you may need root canal therapy in Lewisville, you may have a few questions. You’ll learn the most valuable information about root canal therapy in this week’s blog post, so stay tuned! Comments Off on Get the 411 on Root Canal Therapy in Lewisville Here! 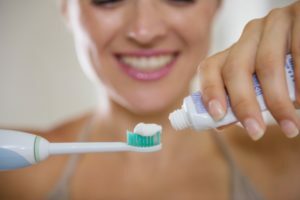 How Often Should I Brush My Teeth? Lewisville Dentist Answers! Comments Off on How Often Should I Brush My Teeth? Lewisville Dentist Answers! As a parent, one of your top priorities is to ensure that your family develops and maintains healthy, beautiful smiles. In addition to proper oral hygiene habits, your loved ones need the care of a great family dentist in Lewisville. However, there are many excellent options in the area. How can you be sure that you are choosing the right one? 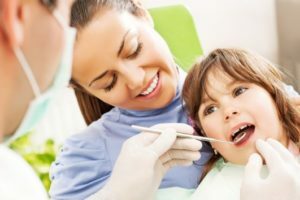 To give your family the dental care they deserve, there are several things to consider when finding a new dental team.